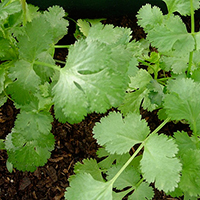 Gardeners and cooks all over have often sought out easy growing herbs to put into their gardens or windows. Nothing beats fresh herbs on hand for your favorite meal preparation, especially if they were grown in your own garden. There are a wide variety of herbs available today, and most of which are easier to grow than you might think. Have a Plan! : You could do what many people do and just rush out and start buying random herbs and get them started, and that would be fine too. Another option however would be to take a few moments and ask yourself, "What am I looking for from easy growing herbs?". What is the motivation for starting your herb garden? If you are looking to grow herbs for the sheer fun of it, that’s great, and it certainly opens up a realm of possibilities. If you are interested in growing herbs for cooking, then clearly you not only want easy to grow herbs, but you want ones you will actually enjoy using also. Where To Grow? : This is a commonly asked question, especially when it comes to herbs. The simple answer is, wherever you want! The herbs themselves really don’t care where they are grown, provided you give them the proper growing conditions they require. They will do what Mother Nature instinctively has all plants do, grow! Now that doesn’t mean you should start running around your yard tossing herbs seeds and plants all about. Remember the first advice above, have a plan for your easy growing herbs. There are a few things to consider when deciding where to place them. The most important is how often will you use them? Some easy to grow herbs you will obviously use more than others. You might decide to grow dill for pickling, but you are not likely to use dill as often as you would oregano or basil. So the dill could work nicely in a spot that might be less convenient, whereas the oregano or basil should probably be easily accessible. If you are growing your herbs indoors, the size of the mature plant will most certainly be something to consider. Some herbs get quite tall, or bushy, and they just wouldn’t be well suited for a small pot sitting on your windowsill. 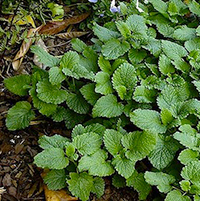 If you are growing your herbs outdoors, don’t be too surprised if their pleasant aroma and flavor draw the attention of local wildlife that might nibble on them. This may not bother you necessarily, but if you are planning on drying them out and storing them or giving some away to friends and family, you might not want them nibbled on. Container Growing: Growing herbs in containers is one of the most popular options these days because it solves a lot of the little problems you might encounter growing them elsewhere. If you designate a specific container to one plant, it really gives you better control over the growing conditions, and it also allows you to control the size of the plant itself. (the bigger the root system, the bigger the plant will get). 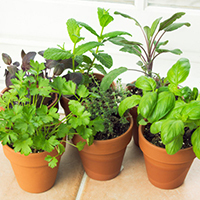 A lot of people like to grow their favorite herbs in their kitchens, on shelves or window sills. This option puts the herbs right at hand whenever you need them, and also adds color, texture, and even pleasant aromas to your kitchen. Whatever easy to grow herbs you decide to grow, make sure you find out how big the plant can get, or how big you want it to get, and choose a suitable container. Greenhouses: If you are one of the fortunate ones to have the space for a walk-in greenhouse, then you really have few limitations as to what you can grow. Easy growing herbs will thrive in a greenhouse environment and more than likely you will have the space you need to grow them in abundance. You can grow them in your greenhouse, and take fresh cuttings into your house as needed for just the right amount of fresh herbs. 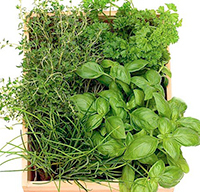 Retail Herb Kits: Every spring you will find a number of small novelty herb kits with easy growing herbs. 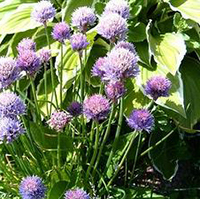 If you are new to growing herbs, don’t shy away from these. Companies manufacture these products for a reason, yes to make money, but also to help novice gardeners get themselves started. The price of these kits can sometimes be a little high depending on how extensive it is, but they are a great way to learn the ropes because they will give you everything you need to start your first herb garden. As with most things in life, you learn from experience, and you have to start somewhere. Once you get your feet wet, or in this case your hands dirty and your thumbs a little greener, you will eventually come up with new ideas that you didn’t consider before, and you’ll have a pretty good idea of what types of easy to grow herbs you really want. Once you reach that point, search out commercial products where you can buy exactly the materials you want, rather than buying someone else’s “kit” that may or may not be exactly what you are looking for. Which Herbs Should I Grow? : Now the title of this article is easy to grow herbs, and we really haven’t addressed the individual herbs themselves, that is not by accident. The truth is, most herbs in general are fairly easy to grow, so it’s difficult to say with any degree of credibility which ones are "easier", and you sure don’t want to be turned off from trying something you want to do, based on the opinion of another person. So the best advice one could give to this question is, grow what you like and what you will enjoy growing and using. There is no wrong answer here. If you have specific question about the herbs themselves, that is an article for another page!